Write clearly, if possible in capital letters. Do not apply stamps on the original photo; even if they are justifiable they sometimes cause difficulties and require repairs to the original photos. Please limit them. Make a copy of the original photo and indicate the modifications requested to avoid possible misunderstandings. Specify if more photo porcelains have to be installed to the same monument; in this case we will execute similar backgrounds and match the images’ size. 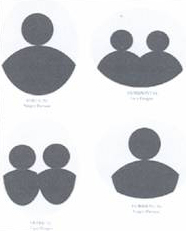 Indicate people’s position if there are photo with two or more subjects (in the absence of indications the woman will be on the left side). Specify clearly if the photo porcelain must be vertical or horizontal. Special instructions are requested for two or more people on the same picture. 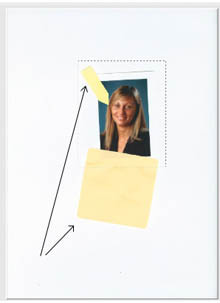 a- Photo papers with two or more people will be reproduced oval, horizontal, head and shoulders, 3.54”x4.72” (cm 9x12) with photographic gold fillet border. b- Position of subjects will be the same as in the photo. If you request to cut off a subject from dark backgrounds or from some particular details, to have something exact we will proceed on our best judgement and refuse responsibilities in case of contests from you or from your customer. Do not send pictures with frame and glass. Monument portraits in real porcelian have been our business and our profession since 1924. In the world we have a stable end honest business reputation : we are a firm that was in business yesterday and will be in business tomorrow. Pictures sent by e-mail are not the original pictures. Therefore we do not have anything to compare with the image receive to guarantee a reproduction as similar as possible to the original picture. Valid as above mentioned we do not accept complaints and request of replacement free of charge. In any case we can guarantee that we make any possible efforts to realize high quality reproductions. Will you please inform your customer too. Never submit photo-copies of photographs. Never submit prints of scanned photographs. Never submit prints made from laser of ink-jet printer. Guide for proper digitization of images. A proper preparation of the digital file is the basis to get the maximum result of reproduction, whether on ceramic, on paper or on any other support. That's why ROSSATO GIOVANNI SRL has decided to create a simple guide to summarize what are the main rules to follow to get a good quality of the final result, from the scan to the sending picture, through e-mail or saved on digital support (CD, DVD , USB key, etc.). We always suggest to choose the best photo possible. 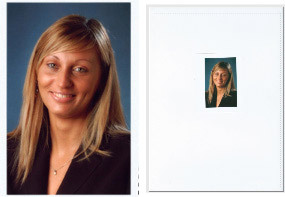 To send originals is always better than sending copies memorial cards, color photocopies or similar reproductions. Clean the photo from spots on surface without using any products or solvents. You can remove spots or stains (example dust) or with dry cloth or with a slightly damp cloth. Be very careful in the case of non-photographic prints such as ink jet, laser, sublimation, etc.. (more frequent than conventional photographic prints) as rubbing it would irremediable ruin the photo. 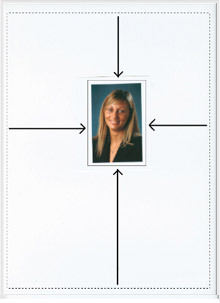 Remove any post-it notes, cards, films, etc.. from the photo. Because having to intervene on the computer to remove these elements, it would compromise a good reproduction (should reconstruct missing parts). Note : if you want to indicate the limit of the framing, in the case of a ceramic without white border, calculate always about 1/2 cm more on all 4 sides, this part of the image is used to cover the "lateral part" of the edge of the ceramic and it will not be so visible. Clean the scanner glass periodically with a soft cloth (preferably white) moistened with alcohol or similar products (avoid solvents). 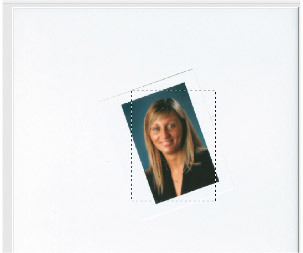 Place the photo on the scanner glass, taking care to align as much as possible the edges of the photo on the edge of the scanner so that they are parallel. This facilitates the framing without risking to cut any pieces of photo. During the preview take care to cut out only the interested part of the original without unnecessary space around the photo. In the same way, care must be taken not to cut pieces of photography that will need to rebuild later during editing; it will avoid reconstructions and risks of not respect the missing parts of the original. The resolution depends on the type of scanner. 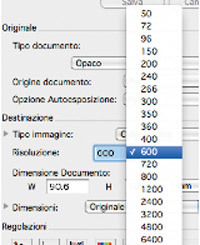 In principle, for a good quality it is necessary to digitize the image at minimum 600dpi for a photo range from cm8x10 up to cm10x15. For images of smaller dimensions, for example photo cards, use a resolution of 900DPI or higher. Avoid excessive resolutions, you would create files with sizes too big that should be reduced in the process of retouching. 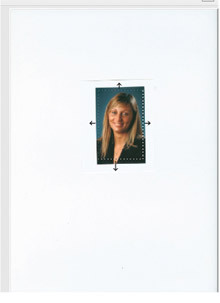 Vice versa, for photographs larger than 10x15 cm can be used lower resolutions, without, however, to fall below 300 DPI. Set the scanner to save the image preferably in TIFF or (as an alternative) JPG or PDF. If you use the mode "import" directly from the photo-editing software (example Photoshop) save the image (TIFF, JPG, PDF as above) by turning off the image compression. Before sending images via e-mail, check the file size, should not exceed more than 5/6 MB for a photo cm9x12 . If you do not have fast connections use the JPG format. Note: the extension JPG is a "compressed" format that reduces the size of the picture by eliminating some information from the original file, and every time you re-save the image you lose some information, so if you save the same image many times, undertakes much of the quality of reproduction. The extension TIFF instead keep all the information, you can then save many times without affecting image quality. Although PDF is fine. Per customers request we can attach 3M VHB self adhesive tape to the back of the plaque. If using 3M VHB tape, make sure cameo pressed firm into desired position and not moved or repositioned once placed.